Lisa Somerville has been a wonderful part of Craftwell's Design Team for several terms. She is a very talented lady. We wish her well in her future and you never know she may one day return to us! Best Lisa! 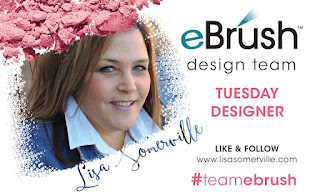 Hello and welcome to the Craftwell Blog, Lisa here today and I'm sharing a Mixed Media Watercolor Tutorial using the eBrush and Siphon Adapter Kit. Using the Siphon Adapter Kit, add Reinker to the Glass Jar, then using the eBrush, spray Reinker onto Non Stick Craft Mat. Repeat as desired with additional colors, being careful not to muddy the colors. Place stencil onto Non Stick Craft Mat, lightly press down, then lift straight up. Set stencil aside. Press Mixed Media card stock onto reinker mixture, lift straight up. Allow panel to dry, use as desired. While your stencil is still wet from the reinker, place back onto Non Stick Craft Mat with the paint side up. Press Deli Paper onto wet stencil to pull a print. Keep pulling prints as long as your reinker on the stencil is still wet. Let dry, use as desired. 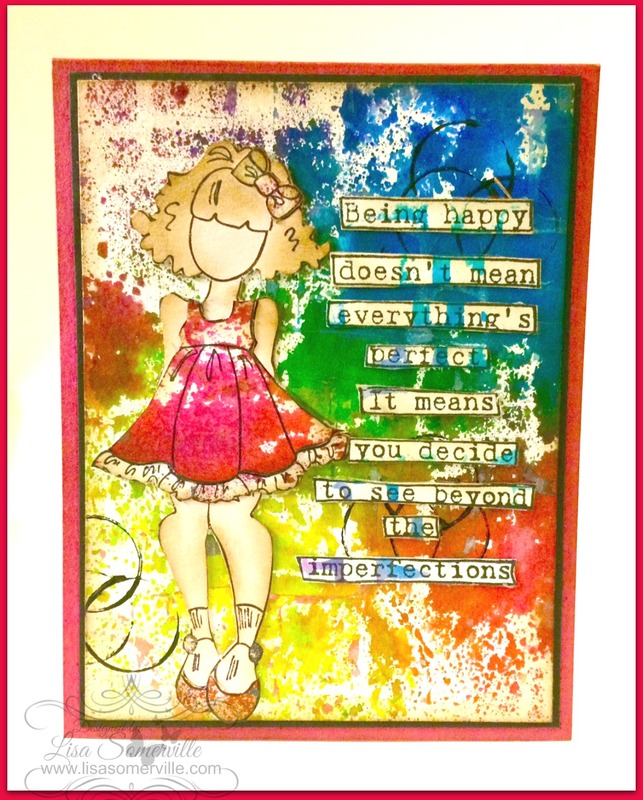 To finish my card, I paper pieced the doll image, and added a sentiment that was stamped on part of one of the prints. If desired add a few Black circles using Black Gesso and a paint cap. Mount on a Black panel then onto a base card as shown below. Thanks for stopping by the Craftwell Blog, this is my last post as a member of the Craftwell Design Team. I want to thank Craftwell for the opportunity to work with their products. I hope I've inspired you to create Art! For more inspiration, please visit my blog! Fabulous piece!! Love all the details! !